Probably the best known V.O. 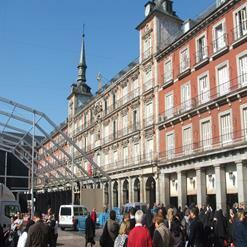 Theater in Madrid, it offers the largest selection of movies and is only a short walk from Sol. It has nine auditoriums, have about total of 1,725 seats which is located on three levels including one auditorium underground.